”A melodic conversation between jazz and classical music. The reunion of these three musicians captivates by its elegance. 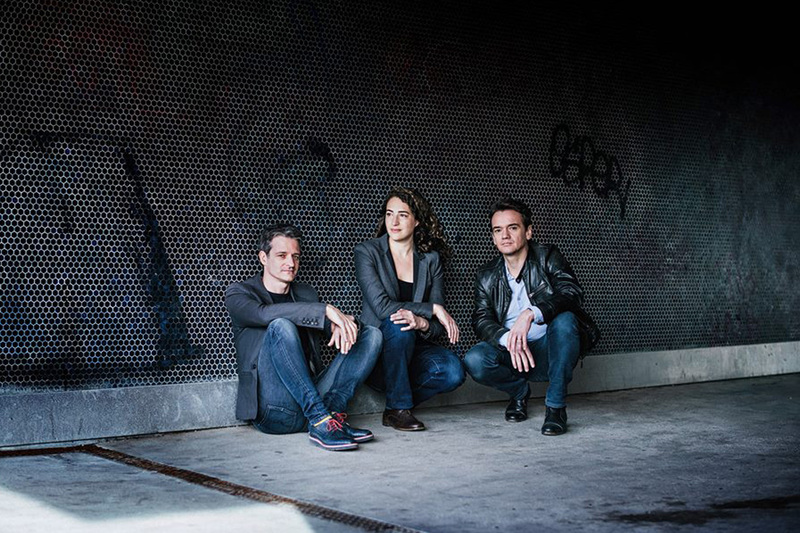 Eight years after the album “Filigran”, pianist Édouard Ferlet and trumpet player Airelle Besson join forces as part of a friendly trio completed by Stéphane Kerecki (double bass): three stunning artists and skilled composers, who have their own projects as well. With the album Aïrés, they skillfully and easily mix original compositions and elaborate arrangements of classical and baroque themes by Ravel, Fauré and Tchaikovsky. Their symbiotic bond and talent for improvisation make this intimate conversation one of a kind.